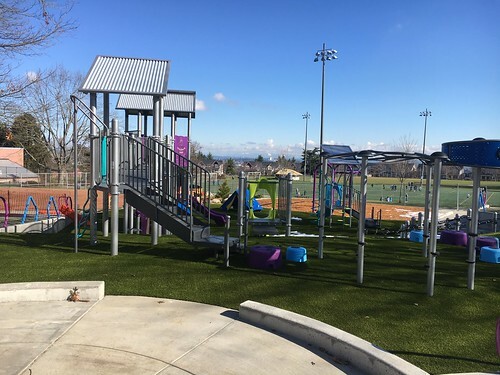 Seattle Parks and Recreation (SPR) and the East Ballard Community Association invite the community to celebrate the new Gemenskap Park on Saturday, October 27, 2018, from 10:30 a.m. to 12:30 p.m. 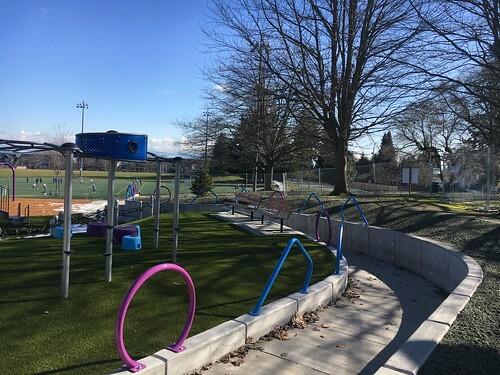 This new community-initiated park provides much needed green space for the east Ballard neighborhood and is located on 14th Ave. NW between NW 59th and 61st streets. The event kicks off with a Halloween costume parade for all ages followed by an official ribbon cutting ceremony. The morning will be filled with fun activities, donuts, beverages and more. Gemenskap (Yuh-MEN-skawp), Swedish for ‘community’, is a 2-block linear park named for the area’s Swedish history and influence. The former trolley street is a 52-foot wide park that provides valuable open space, incorporates safety improvements for pedestrians, green stormwater infrastructure, a multiuse path for biking, and neighborhood greenway connections. 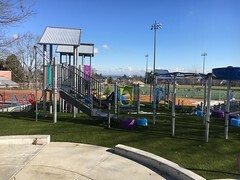 The design firm Mithun worked with the community, SPR and Seattle Department of Transportation on the design of the park. In January 2018, SPR awarded the construction contract to Jansen, Inc. The Parks and Green Spaces Levy Acquisition Fund provided $24 million for the acquisition of neighborhood parks in up to 20 identified areas throughout the city. The Ballard Residential Urban Village was included in that list and the community prioritized this development project in lieu of acquiring additional property. Thank you to the Nordic Museum for participating and thank you to the sponsors of the Fall Festival, Ballard Market, Mithun, Top Pot, and Tripod Coffee. 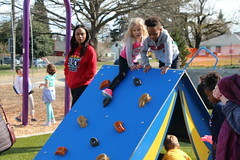 For more information about the project and event please visit and https://www.seattle.gov/parks/about-us/current-projects/gemenskap-park-development or contact Karen O’Connor at karen.o’connor@seattle.gov or 206-233-7929. To get involved in the stewardship of the park visit https://eastballard.wordpress.com/about/get-involved/ or email eastballard@gmail.com. Seattle Parks and Recreation and the Seattle Housing Authority invite the community to celebrate the new Yesler Terrace Park on Saturday, August 25, 2018, from 11 a.m. to 3 p.m. This new park provides a much-needed outdoor community gathering place and is located at 835 Yesler Way, immediately adjacent to Yesler Community Center. At noon there will be an official dedication ceremony. Over the entire celebration Yesler Terrace Park will be filled with music, art, and food trucks. The Seattle Sounders’ RAVE Foundation will sponsor activities at the soccer field, and the Seattle University men’s basketball team will be hosting activities at the basketball court. 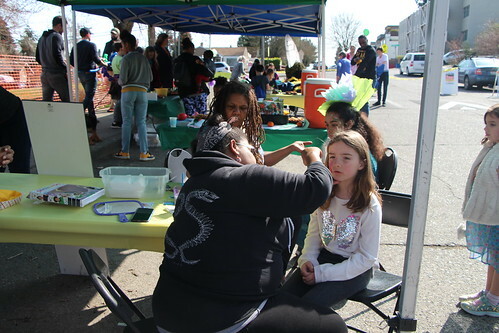 Community-driven activities will continue until 7 p.m. with a neighborhood movie night at 8 p.m.
With sweeping views to downtown, Elliott Bay and Mount Rainier, Yesler Terrace Park is the new heart of the Yesler neighborhood. The park offers something for everyone in its two-acre footprint. An expansive plaza can accommodate community events, while providing a variety of smaller-scale spaces for gathering and play. Taking advantage of the site’s topography, the playground below the plaza includes play structures that straddle the grade change and a slope for climbing up and sliding down. Sports amenities include a soccer field that was developed in partnership with the RAVE Foundation and a basketball court. In addition, the multi-layered stone sculptures in the park by artist Christine Bourdette are inspired by the rich diversity of communities and cultural experience in the neighborhood. Towers of Burble, the spraypark sculptures in the central water feature, and Conversation Clusters the sculptural seating areas throughout the park, derive from the shapes of vessels, baskets, and stools from the cultural traditions of those who have migrated to this neighborhood. The artwork is funded by Seattle Parks and Recreation’s 1% for Arts Funds and administered by the Office of Arts and Culture. 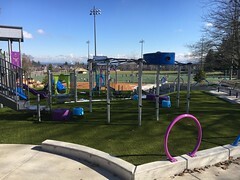 The new park is the result of a successful partnership with Seattle Housing Authority and public-private donations that include Seattle Parks Foundation, RAVE Foundation (the official charitable arm of the Seattle Sounders), Wyncote Foundation Northwest, Pendleton and Elisabeth Carey Miller Charitable Foundation, The Community Parks Fund, Washington State Recreation and Conservation Office, and the Office of Arts and Culture. Local landscape architecture firm, Site Workshop, designed the project, and Seattle Parks and Recreation awarded the construction contract to Wyser Construction. 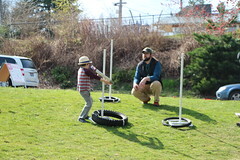 For more information about the project and event please visit http://www.seattle.gov/parks/about-us/current-projects/yesler-terrace-park or contact Karen O’Connor at karen.o’connor@seattle.gov or 206-233-7929. Come celebrate the grand opening of Maple Leaf Reservoir Park, at Roosevelt Way NE and NE 82nd St. on Sunday, Oct. 27, 2:30-4:30 p.m.
Take part in the Maple Leaf neighborhood’s annual Parade of Costumes (1 p.m.) then—still in costume—join the festivities! Enjoy a performance by Counterbalance Barbershop Quartet, ribbon cutting ceremony, light refreshments and family entertainment. The celebration will include the dedication of Patrick Marold’s site-specific artwork, Confluent Boulders. Inspired by the two water sources that feed the Maple Leaf Reservoir, the sculpture comprises two boulders taken from the Tolt River and Cedar River watersheds. Seattle Public Utilities is in the process of replacing its open reservoirs with underground structures to improve the quality and security of Seattle’s water supply. That replacement also provides space on which a park can be built. The Maple Leaf Reservoir Park Development Project transforms the reservoir lid’s 16 acres of open space into a neighborhood park for northeast Seattle. Seattle Parks, the Berger Partnership and the community worked together to create a comprehensive plan for the new park, including the existing Maple Leaf Playground. The community’s vision of sweeping views, waves of grasses and places to soar inspired a design theme of “Wind, Waves and Wings.” Paul Brothers, Inc. constructed the reservoir project. The new neighborhood park includes many exciting features and diverse ways to enjoy the space. The park’s upper portion contains a series of rain gardens, a shelter, a gathering plaza and a viewpoint that highlights Mount Rainier and Lake Washington. The park’s sport court area includes a pickle ball court, a hitting wall and basketball hoops. Pathways weave through plantings and trees. Two staircases connect the upper and lower levels of the park. The lower level includes a play area and two ballfields. The play area was completed in spring 2013. The ballfields are expected to be ready for use spring 2014. The Parks and Green Spaces Levy provided $5 million to plan, design, and construct Maple Leaf Reservoir Park. Confluent Boulders was commissioned with Parks and Green Spaces Levy and Seattle Public Utilities 1% for Art funds.